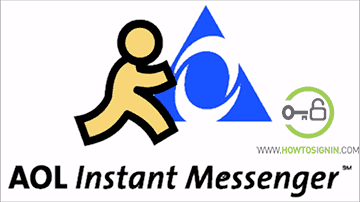 AIM (AOL Instant Messenger) was one of the most popular apps in the United States since the late 1990s till the end of the first decade of 2000s. After that with the emergence of social networking sites/apps like Facebook, Skype, Twitter, etc. the downfall of AIM started. AOL Inc (now American online) discontinued the AIM service from the end of 2017. This might be the heart-breaking news for the loyal fans of AIM. The AIM must have been the first thing you did on the internet for many of people who are in the mid-20s to early 30s. Though you might not have signed in to AOL Instant Messenger since long, the shutdown of it was definitely not the good news for those who have lots of nostalgic memory attached to it. Chatting with the first crush, talking with buddies all night long, introduction to the internet shortcuts like TTYL, LOL, num, etc. and setting of GIFs as Buddy icon are some of the AIM memory that is still fresh in our mind. Now a day there are lots of messaging apps, instant messenger but none of them will be able to make us too involved as AIM did. It will not be wrong to say that AIM brought a sort of revolution in the way people interact online. You might wonder whether you could still use your email with @aim.com or not. You can log in to AIM mail, which is the same as AOL Mail. Besides this, you can also use the premium services of AOL like AOL desktop gold. The official AIM is shut down, so you can’t get it. But if you want to recreate the memories of AIM, then there is good news for you. Wildman Production (a non-profit gaming development team) has recreated the AOL Instant Messenger using the name “AIM phoenix” using the same software that we all grew up with. You can sign up with your old username, or you can take the then coolest AIM username that you always dreamt of having. 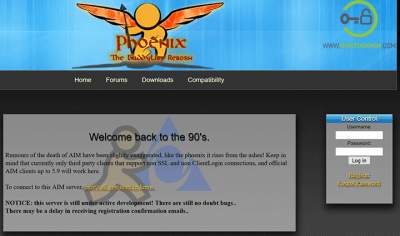 To sign up to AIM phoenix visit http://iwarg.ddns.net/aim/ and then click on register. Enter your basic credential and then start using AIM again. Recommend this to your old AIM buddies and feel the same as you used to feel when you were young. 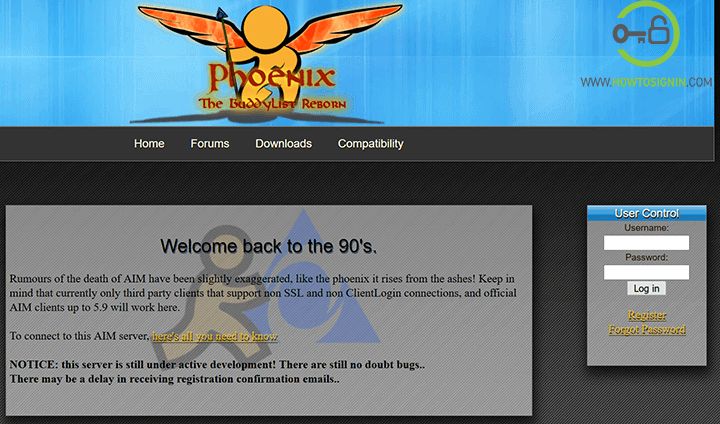 However, as AIM phoenix is no longer owned by American online, you will not be able to retrieve your old database. But this should not matter much, at least you got nostalgic AIM to use. Thanks to Wildman Production. You can download AOL Desktop Gold if you just want to use AIM mail.